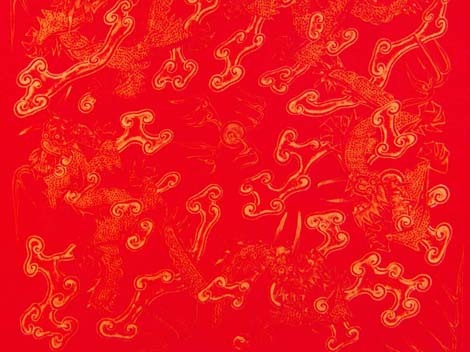 Doufang paper is a kind of waxed paper used by the emperor to write characters like "fu" (fortune) and "shou" (longevity) as an award to the court officials. "Doufang" means a square as big as the top of a dou (a measuring tool for grain). The paper is about 1.5 Chinese inches square, with elaborate patterns printed on all four sides.